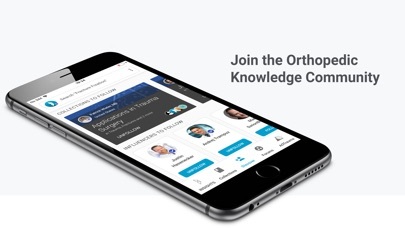 INSIGHTS Orthopedics is your smart companion, keeping you up to date with the latest developments in the orthopedic world. Personalized Knowledge - Discover specialty specific personalization. 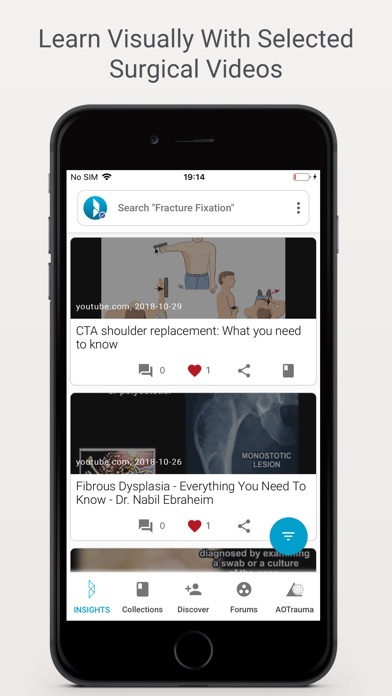 Finding relevant, quality knowledge has never been easier. 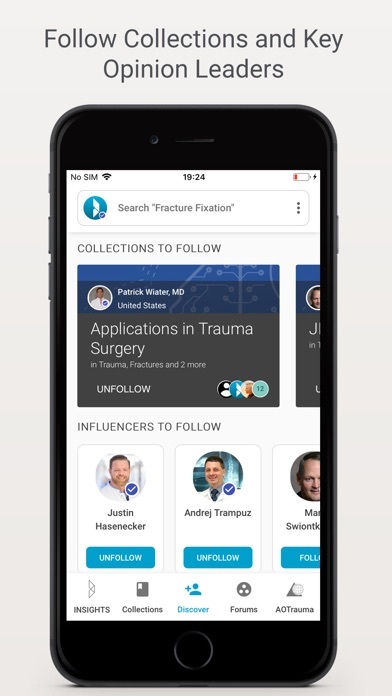 Collections - Create and share collections of knowledge to the INSIGHTS community and influence a global community of orthopedic surgeons. 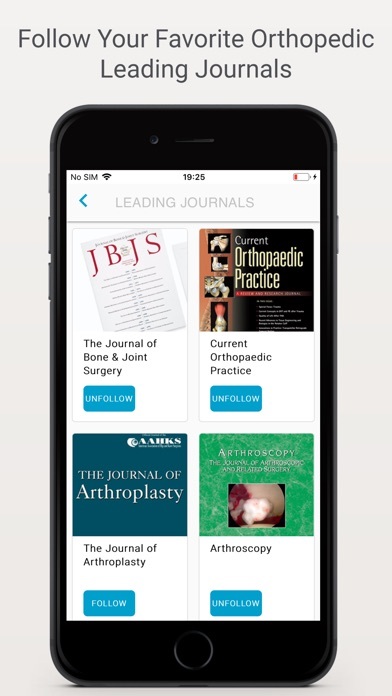 Following - Follow opinion leaders in the orthopedic community to always stay up-to-date with the latest developments. INSIGHTS Synapse – Don’t feel like browsing? Use INSIGHTS Synapse to quickly filter down all information and receive the info you need, fast. 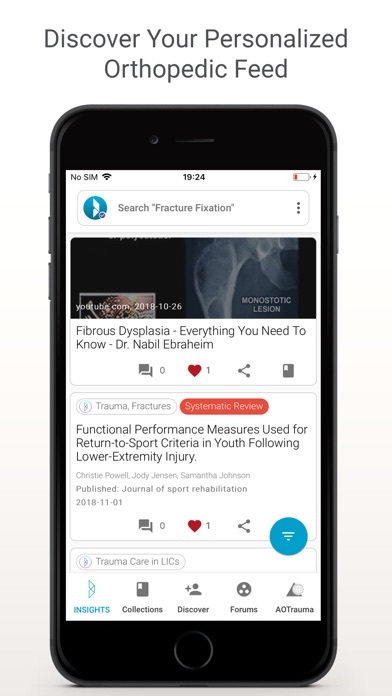 INSIGHTS Synapse sources Articles, Case Studies, Podcasts, Videos, Images and more, presenting you with the most in-depth response to your search. Auto-Translate – Medicine is a global field, so we included translation. 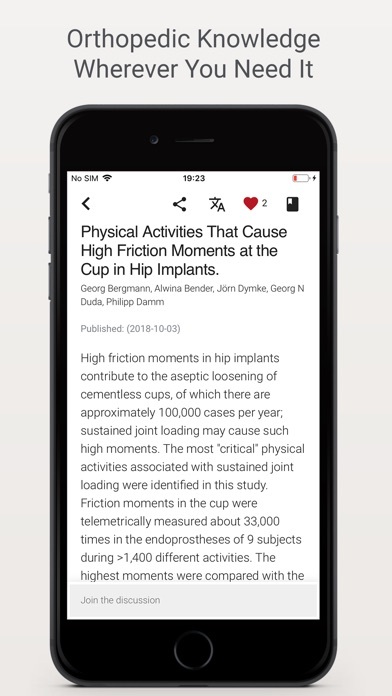 Simply tap on the translate button and get any content that you’re reading translated into your native language. Simply tap and read, it’s that easy. © 2015, Appitty All Rights Reserved.